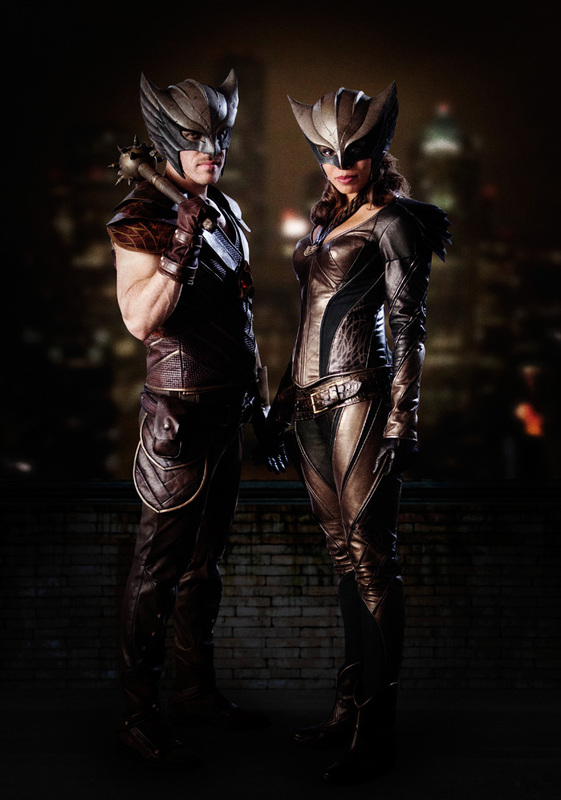 The costumes for Hawkgirl and Hawkman were revealed last week, as they’ll be appearing on Arrow and The Flash before joining DC’s Legends of Tomorrow. Ciara Renée plays Kendra Saunders and Falk Hentschel appears as Carter Hall. They’re lacking the color of the traditional gold and green comic book versions, but in the darker TV universe, it’s not surprising that they went with more muted leather. And the wings are missing, but that’s what special effects are for. Most disappointing to me, though (heavy sigh), is that Hawkman is a) too covered up and b) sporting a dorky mustache. 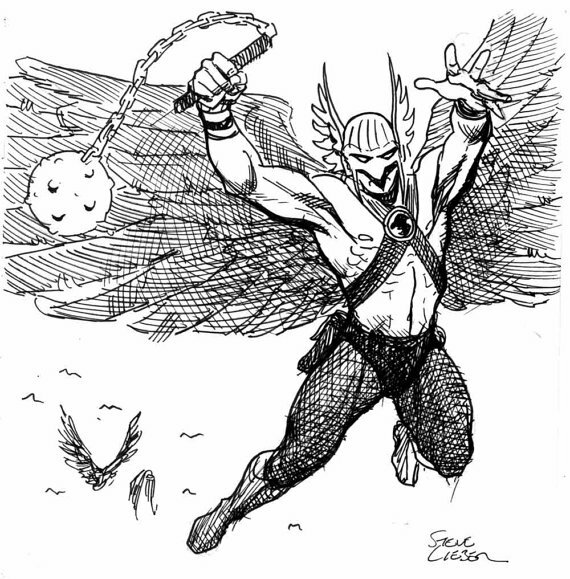 This is the Hawkman I remember reading in the comics, as drawn by Steve Lieber, former series artist. Where’s the bare chest and flying straps? At least “Falk Hentschel” sounds like a comic book character! I agree, it’s a lot easier to like Hawkgirl on her own. Treating them as a couple has to be handled carefully. The whole “fated for each other” becomes kind of creepy when you add in the “and she doesn’t know it but the wiser guy will teach her” element I didn’t care for in some of the comics. Hawkman looks a lot like Batmanuel from the Tick TV show. Bwa ha ha! You’re right! Oh man – if they’re dumb enough to put that into the show I may have to stand in front of the teevee to keep my wife from throwing something at it.